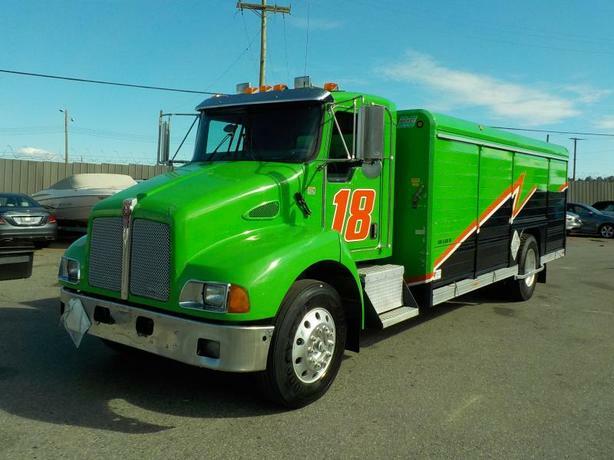 2008 Kenworth T300 Cube Van Diesel Air brakes 20.5 feet, Transport Delivery Truck, 2 door, RWD, AM/FM radio, Allison automatic, adjustable suspension, power windows, power mirrors, air horn, electric horn, green exterior, black interior. Odometer was replaced at 273934 km's therefore true mileage is unknown. $18,860.00 plus $300 conveyance fee, $19,160.00 total payment obligation before taxes. Listing Report, Warranty, Contract Commitment Cancellation option on Fully Completed Contracts. All above specifications and information is considered to be accurate but is not guaranteed. Call 604-522-REPO(7376) to confirm listing availability.